* In Nielsen’s 56 metered markets, household results were: “The Tonight Show with Jay Leno,” 2.3/6 with an encore telecast; CBS’s “Late Show with David Letterman,” 3.3/9 with an encore; and ABC’s combo of “Nightline,” 3.0/7; and “Jimmy Kimmel Live,” 1.6/5. 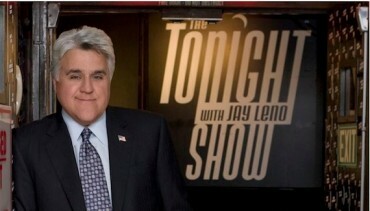 * In the 25 markets with Local People Meters, adult 18-49 results were: “The Tonight Show with Jay Leno,” 0.6/3 with an encore; “Late Show,” 0.9/4 with an encore; “Nightline,” 1.0/4; and “Jimmy Kimmel Live,” 0.6/4. * At 12:35 a.m., “Late Night with Jimmy Fallon” (1.2/4 in metered-market households with an encore) trailed CBS’s first-run “Late Late Show with Craig Ferguson” (1.7/6). In the 25 markets with Local People Meters, “Late Night” (0.4/3 in 18-49 with an encore) trailed “Late Late Show” (0.5/4). * At 1:35 a.m., “Last Call with Carson Daly” averaged a 0.8/3 in metered-market households with an encore and a 0.2/2 in adults 18-49 in the 25 markets with local people meters.